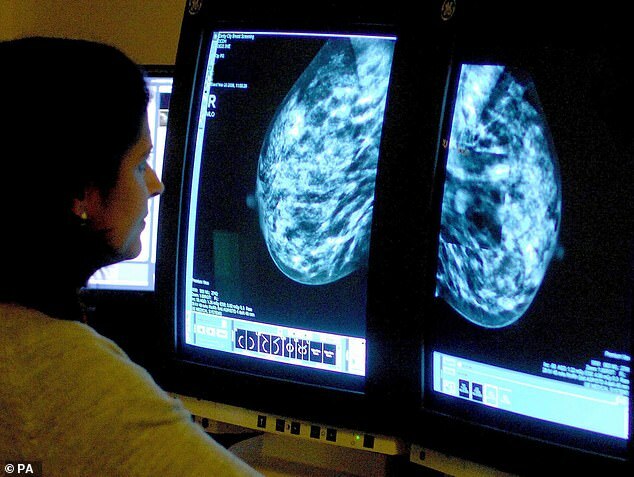 A promising new treatment has been approved for the hardest-to-treat breast cancer. Triple negative tumors, found in 15 percent of cases (40,000 new cases a year in the US), do not have any of the three most common receptors which normally fuel breast cancer, making them harder to target. A new immunotherapy drug, approved by US regulators on Friday, may get around that by training the patients’ immune system to spot and kill tumors while the patients also undergo chemotherapy. A study on 900 women showed this dual approach gave patients, on average, another two months. It’s a high price for merely modest results, setting patients back an eye-watering $13,400 a month. Nonetheless, researchers celebrated the approval as a milestone in the fight against a notoriously elusive type of cancer. ‘This is a first,’ Dr. Amy Tiersten, a breast oncologist at the Dubin Breast Center, The Tisch Cancer Institute at Mount Sinai, said in a statement. Immunotherapy is the most lauded new cancer-fighting technique, earning the Nobel Prize for medicine this year. Tecentriq, made by Roche, is the first immunotherapy drug approved for any type of breast cancer. It has been approved for a very narrow category of patients: those whose tumors express PD-L1, a protein that may help cancers avoid detection by the immune system. About 40 percent of the patients in Roche’s study had tumors with high PD-L1 levels. With triple-negative breast cancer, three common types of receptors that spur tumor growth – estrogen, progesterone, and the so-called HER2 gene – are not present. That means drugs which normally prove effective at targeting breast cancer fall short, leaving scientists, doctors and patients searching for new options to combine with chemotherapy. The FDA’s approval came after a trial showed the drug cocktail helped stall the disease’s progression for an average of 7.4 months. Those who only used chemotherapy saw a decline after 4.8 months, according to the Roche study. Roche and FDA said both are closely monitoring the ongoing trials, which have yet to gather official survival data. For now, the drug’s approval pushes Roche back into competition with its big competitors Merck and Bristol-Kyers Squibb after falling behind. Both Merck and Bristol have seen a boost in sales thanks to their pricey immunotherapy drugs Keytruda (which earned $7.2 billion in 2018) and Opdivo ($6.7 billion). ‘This Tecentriq combination is the first cancer immunotherapy regimen to be approved in breast cancer, representing a meaningful step forward in the understanding of this disease,’ Sandra Horning, Roche’s chief medical officer, said in a statement.